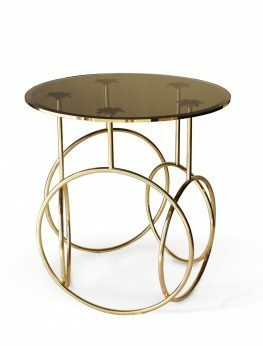 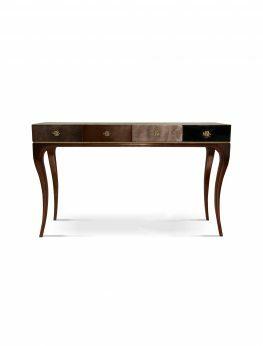 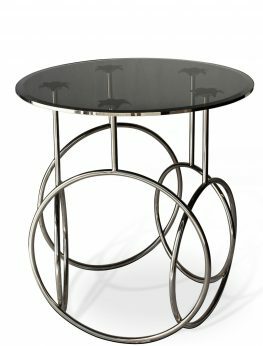 The SOHO Sideboard is a design masterpiece that has traveled to the biggest and most important interior design shows on the planet. 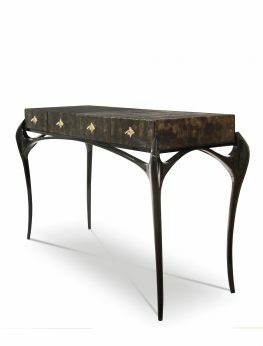 The attitude and irreverence reflected by this piece made it an icon that never goes unnoticed in any part of the world. 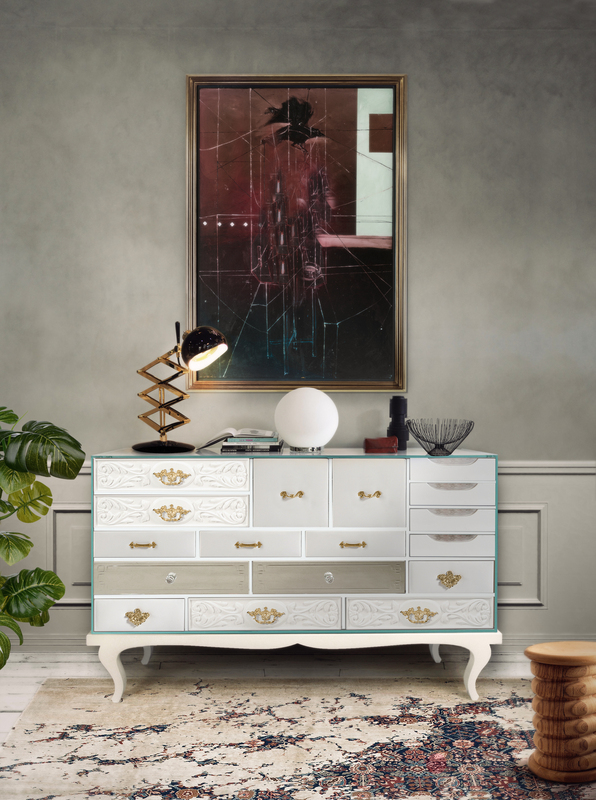 This sideboard’s base is made from wood and tempered glass. 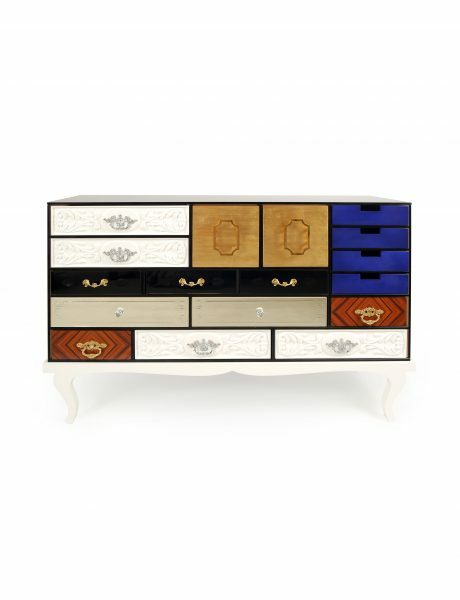 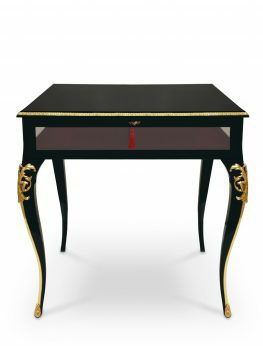 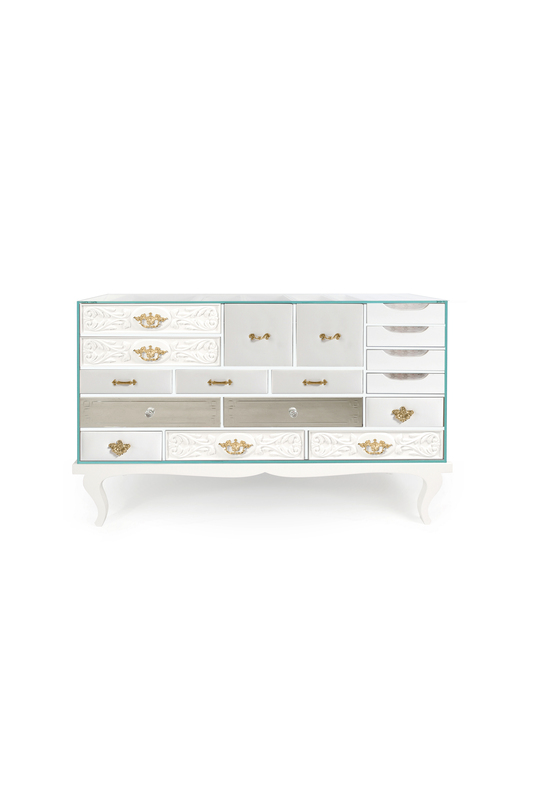 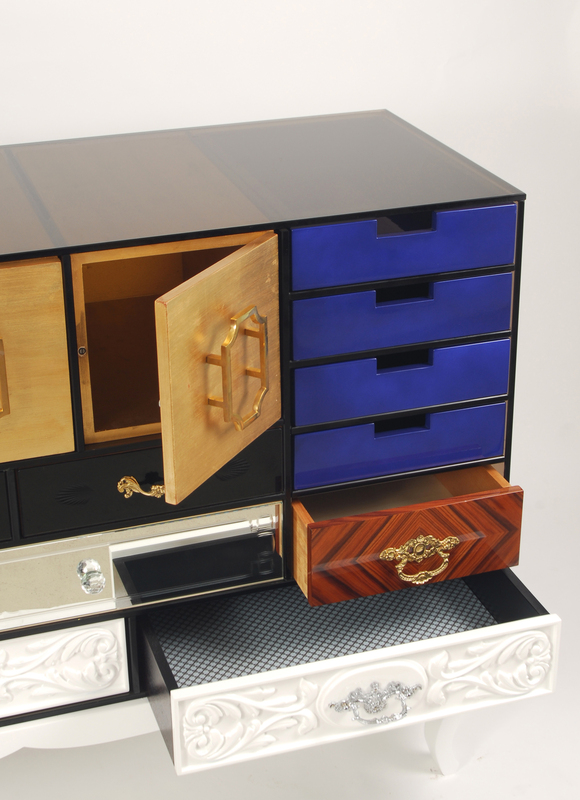 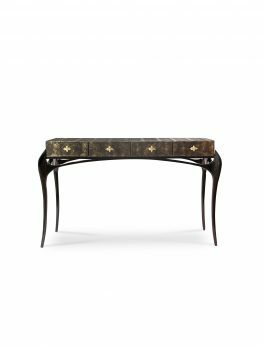 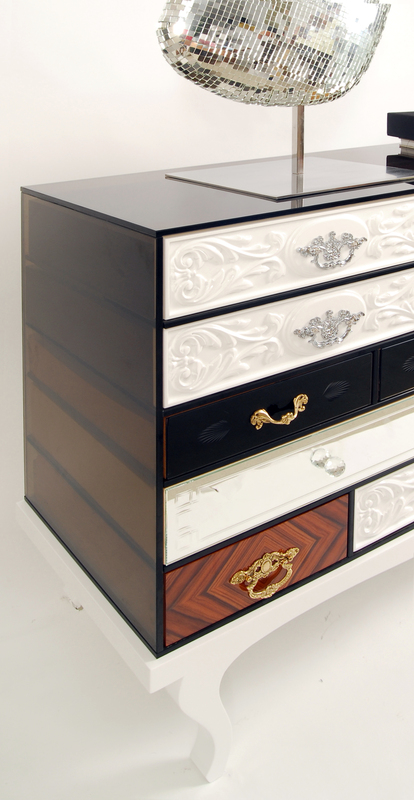 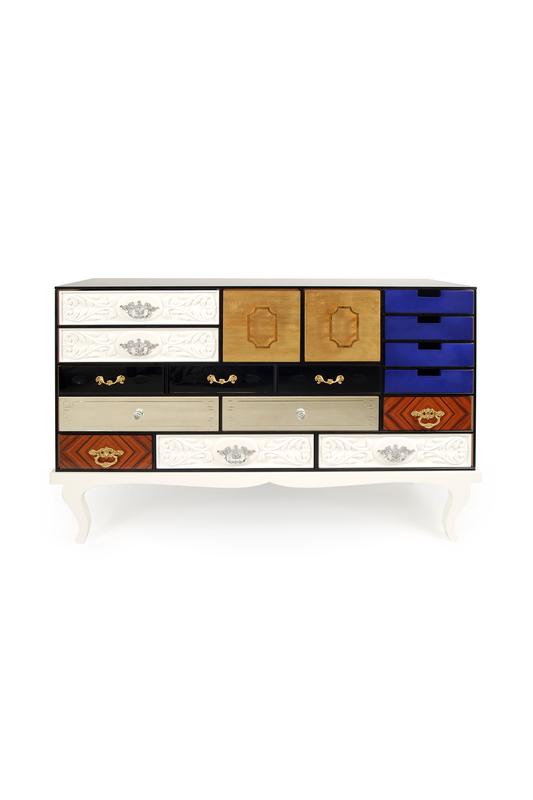 It contains drawers with: handcrafted fronts lacquered in white; fronts made out of clear mirror and crystal handles; marquetry and brass handles; golden leaf; black lacquered glass; and fronts lacquered in blue. 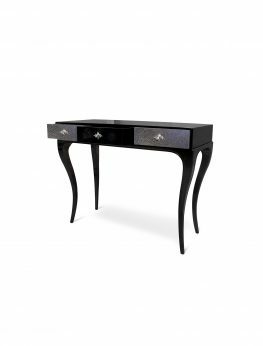 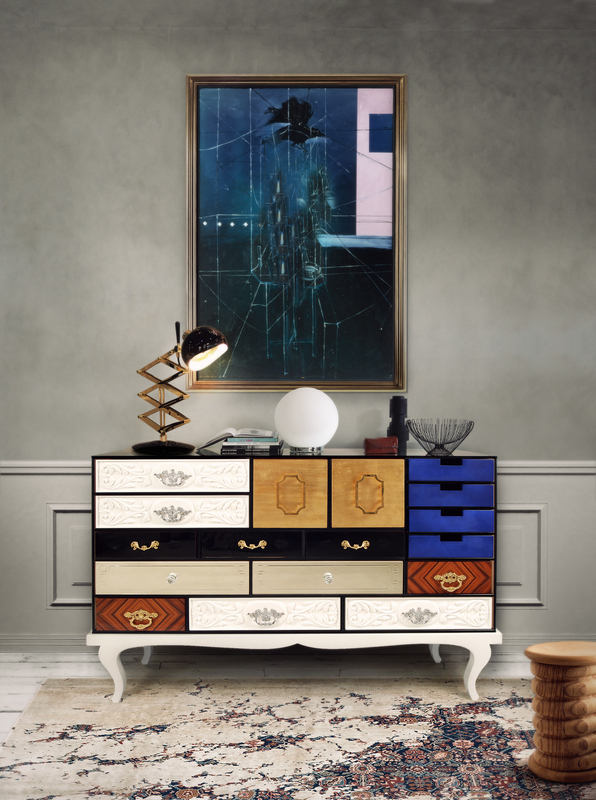 The SOHO modern sideboard is an exquisite work of art and one of our best sellers. 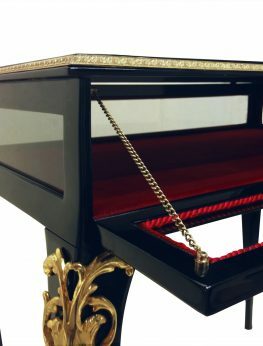 Observations for mounting:It contains pads on the base to protect the support area.